For centuries the Celts held sway in Europe. Even after their conquest by the Romans, their culture remained vigorous, ensuring that much of it endured to feed an endless fascination with Celtic history and myths, artwork and treasures. 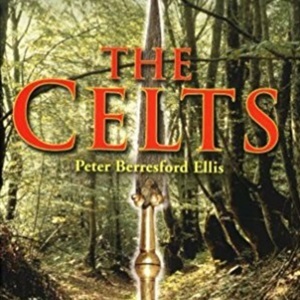 A foremost authority on the Celtic peoples and their culture, Peter Berresford Ellis presents an invigoration overview of their world. 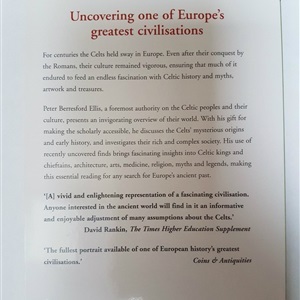 With his gift for making the scholarly accessible, he discusses the Celts' mysterious origins and early history and investigates their rich and complex society. His use of recently uncovered firnds brings fascinating insights into Celtic kings and chieftains, architecture and arts, medicine and religions, myths and legends, making this esesntial reading for any search for Europe's ancient past.